Max Ajl is a doctoral student in the Department of Development Sociology at Cornell University, and will graduate in late Spring 2018. His work focuses on and contributes to the study of historical sociology, environmental justice, agrarian change, planning, and heterodox Arab / North African social thought. His research is focused on the MENA region, with a particular focus on Tunisia. His work has been published widely, including in Historical Materialism, Review of African Political Economy, Middle East Report, and popular publications like teleSUR. He is an editor at Jadaliyya and Viewpoint. In this podcast, CEMAT Director, Dr. Laryssa Chomiak, interviews Max Ajl on his dissertation research. His dissertation analyses the social origins of development and underdevelopment in Tunisia by analyzing both the liberation struggle and post-colonial planning using a global history approach. It looks at planning as pivot in order to understand the various local, regional, and national forces at play which led to Tunisia's current state of underdevelopment. It focuses on the agricultural sector and analyses successive development plans from the perspective of the rural world. 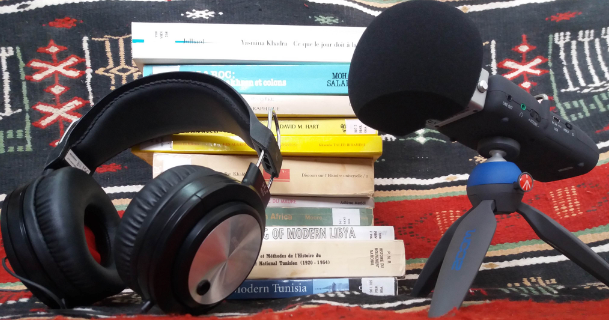 This podcast is part of the Contemporary Through Series, and was recorded at the Centre d'Études Maghrébines à Tunis (CEMAT), on 6 March 2018, in Tunis, Tunisia.